Great piece of land that is being cleared and subdivided into 5 building lots. 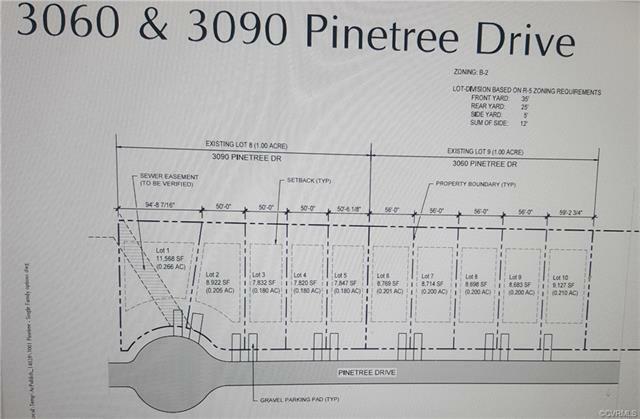 Also selling 3090 Pinetree Dr which has an additional 5 building lots. Utilities available on site. Great site to build 10 homes or apartments. Very convenient to Ft. Lee, the 295, and the 95.